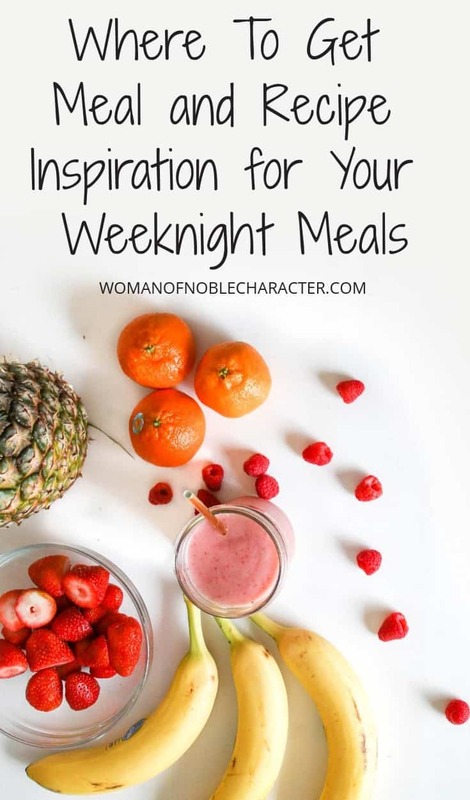 As I got into the habit of meal planning, I found that there were several sources for weeknight meal ideas I would return to over and over again. 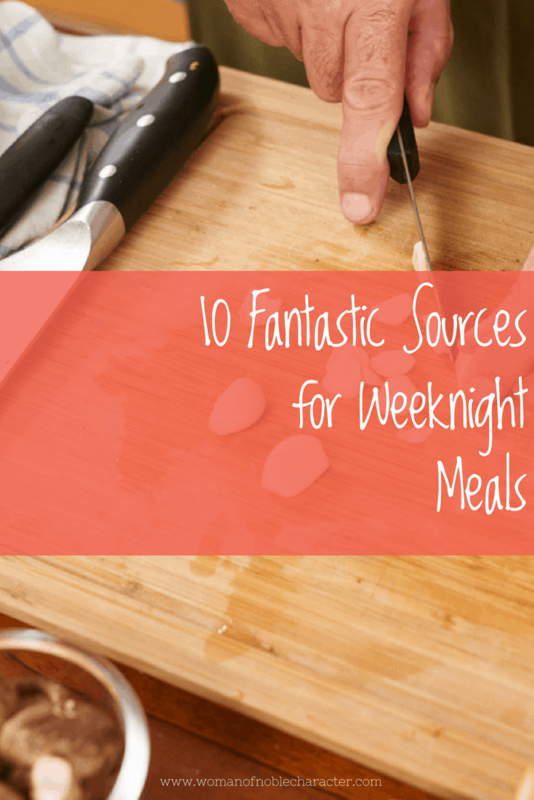 I’m going to share my list with you today to save you from running down the rabbit hole of searching for weeknight meal ideas. 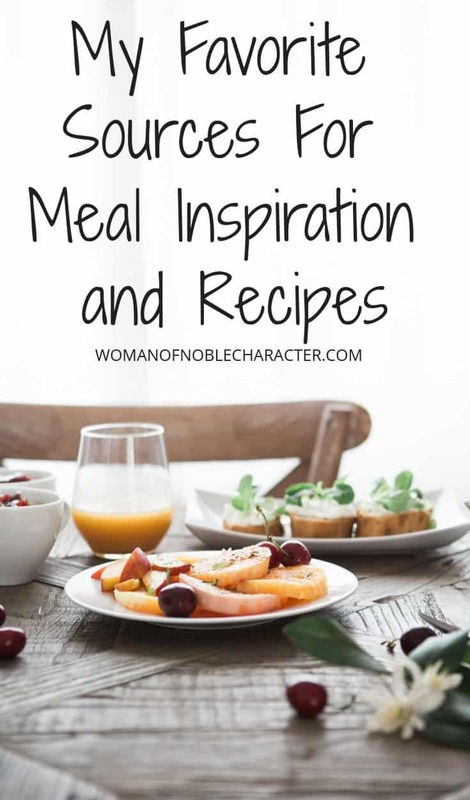 I recommend that when you find weeknight meal ideas that you and your family love that you bookmark them or save them either by printing and keeping in a binder or by using a tool such as Trello. (For meal planning using Trello, check out this post HERE). Then you will have a collection of weeknight meal plan ideas to choose from when sitting down to make your meal plan for the coming week(s). Pinterest. Pinterest is the BEST source for weeknight meals. 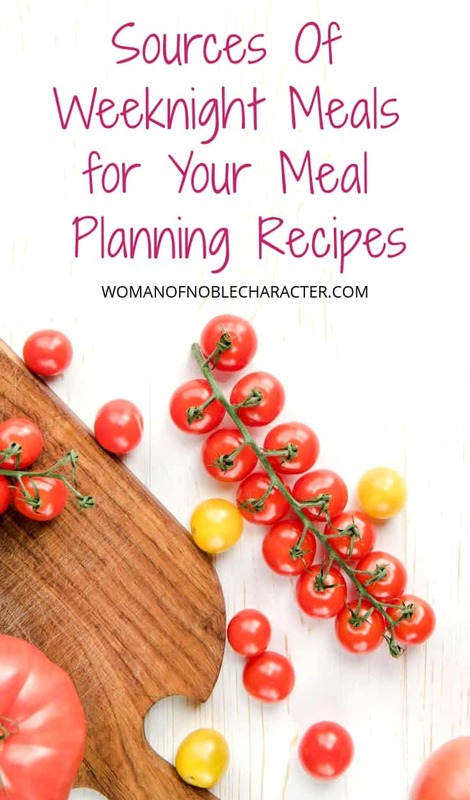 The best part is that you can just pin them to a board on your account and you have them all in one place to pull from when you are creating your next meal plan. Of course, we also pull from family recipes and favorites, but we are always on the lookout for great weeknight meal ideas to try something new. Often, these become family favorites. 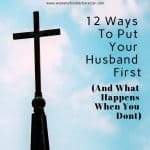 Other times, we decide that they just weren’t right for us for one reason or another. Where do you find the best weeknight meal recipes? Tell us below! Want to save even more time on weeknight meals? I’ve got a great post about meal prep hacks you’ll want to check out.